So I posted this a few days ago on Instagram, [remember if you want up to date posts, follow me on Instagram, twitter, or tumblr!] about how exactly I stopped my binging, and how I'm feeling now! I'm so happy. I never thought I'd get to this point. If you followed me for a while, you KNOW how many setbacks and failures I had! (Never hid anything bout that, I was the setback QUEEN!) I thought I'd spend the rest of my life binging. Buying a pack of rice cakes, cottage cheese, peanut butter, and polishing it all off in 1 night. I thought I would never stop feeling disgusted about myself, only to continue binging from the days start to days end. I thought that I'd never be able to stop going to buffets and devouring all the food in sight, getting plates on plates, past the point of being stuffed. I never thought I'd be able to be NORMAL, eat normally, not always have food on my mind, thinking of what I could devour next. I was so angry at myself for letting it get so far, only to continue with the binges thinking "eh what's the point? I already messed up anyway!" NO. I'm SOOO happy now, I've found a new mindset, I have a new relationship with food. Food doesn't control me. I no longer even have the URGE to binge! And haven't in SO LONG! It's an amazing amazing amazing feeling. I'm still eating majority healthy, but not freaking out about treats! A lot of you asked me how I got through. And here's EXACTLY what I did. Not saying it may work for you, but just sharing. I first started out with #ifitfitsyourmacros, loved the freedom of the foods, knowing that a specific type of food, what many call "bad" Isn't going to significantly harm my physique in any way if eaten in moderation. So I counted for a few months, but soon got tired of it, and then stopped counting. I started eating freely with my family. No restrictions at all. Some days I over ate, some days I underate. I never knew the exact numbers, but I was eating NORMALLY. Without restriction, counting, weighing, anything. This continued for a long while. Me just listening to my gut and body. Then I went on vacay to Florida and continued to eat this way. I came back and realized I had lost 3 pounds! I thought "what?! Just from intuitively eating!??!" Then I thought, how was this possible? And I realized OH GIRL IT'LL HURT A LOT!!! With iifym, I learned the importance of certain foods over others, so I continued to eat majority healthy, but didn't freak when I ate not so healthy foods. With iifym I'm probably being SMARTER about my food choices! Choosing foods with high fiber, with higher micronutrients, making sure to get all my calcium and iron and vitamins and what not. Iifym gave my mind a complete turn. It's all about the mind. You must change THAT before you can change the body and your actions! That's basically the short and sweet version of it. That's how I got over it. I'm saying it was a big part in what helped me overcome it all! I can't explain it very well I know, but it's just like something clicked in my mind and I never went back. It's truly an amazing feeling. KNOW THIS: I'm not saying if you're a clean eater you have an eating disorder, I'm not saying if you're a clean eater then you're MISERABLE with your food. I'm not saying DO THIS DO IT NOW BECAUSE THIS IS THE BEST WAY. I'm not saying iifym will solve your problems. All I'm doing is SHARING what's worked for me. EVERY PERSON IS DIFFERENT AND YOU SHOULD DO WHATEVER YOU WANT TO DO! This is me sharing what's worked for ME. Hopefully to help anyone in similar situations I was in. But please don't feel like I'm bashing you on your lifestyle choices. I love EVERYONE here no matter your lifestyle! Lets all just try to become the best version of ourselves that we can be!! 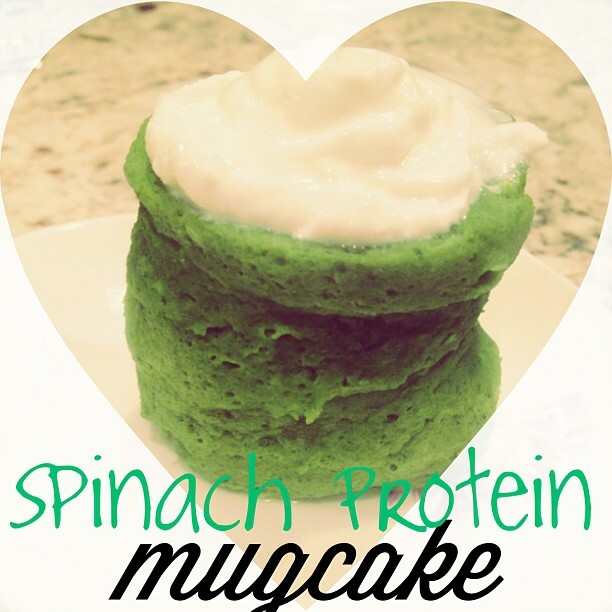 And here I have some easy peasy spinach recipes! I get the HUGE Costco sized spinach bags, and always have way too much that'll go bad too soon! Sooo I throw them into some tasty recipes! 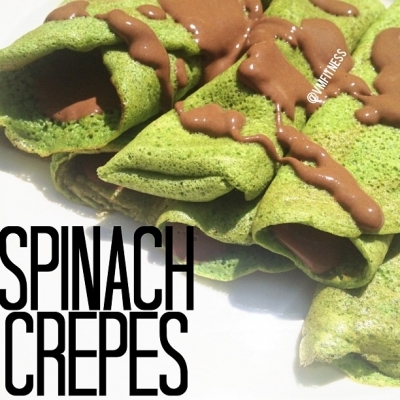 And you can't even TASTE the spinach! Blend all together and let sit for 2 mins Heat pan on low and spray with nonstick spray. Cook thin like crepes and cover with lid to cook top and bottom. Flip. Then fill with your desired fillings! -2 tsp cocoa powder - mix together! Microwave for 2 minutes, let cool, and top with Greek yogurt! and that's great if you can spot the reasons then you can try to avoid them! sometimes i do overeat on my macros but since i'm more AWARE of that, i think "ok, stop, if i overeat too much now, i'm getting further from my goals. that one extra thing wasn't too bad.. but if i keep going it WILLLLL be bad!" Thank you so much for your honesty and posts!!! i did look up my macros, but definitely want to learn MORE about it!!! Do you suggest any reading materials?? i basically learned everything i could about IIFYM online through google! 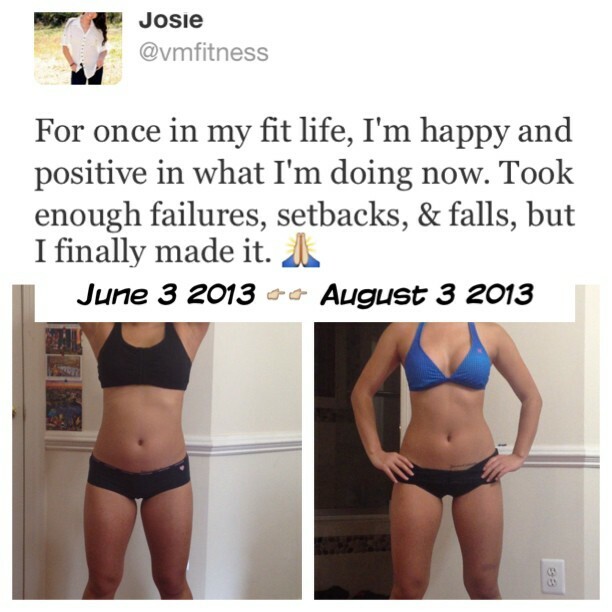 I am thinking about starting iifym for fat loss and to feel better and all those other reasons. But when I rna my macros - I got something like 20 carbs per day. I currently eat a ton of veggies and one to two pieces of fruit per day. What am I suppossed to eat without the veggies and fruit. the carb amount seems so low. I figured out my smoothie and it was 24 carbs....do you have any suggestions of food or what to eat. that is very low indeed! i recommend switching up the macros... or find another online calculator!! I read your post, and I'm inspired to fight for my body to look like that. I go to the gym, and while I am alot stronger and toned in the majority of my body...my stomach is not getting to the point I want it to. I am an emotional eater, and I am currently under alot of mental & emotional stress, based on events that have taken place in my life over the last 8 months (almost died in December-not because of eating habits). I'm in the process of trying to locate a food scale to ensure that I follow the iifym diet as much as possible. Could you help me understand what constitutes 'fat' in the iifym diet? When I have lunch and dinner in the days, what sort of ingredients should form the fat section? Thank you again for being you and sharing your journey with us all. fats can be from anything! nuts, seeds, avocados, oils, dressings, cheese, dairy, etc! <3 you can do it! I can't really tell that much of a difference on the 2 pictures. You lost 2 pounds? Anyhow, keep it up, you'll get where you want to be.